The new year has begun and it’s time to get back to work. Even as we continue to witness problems related to the Karbi-Rengma issue and the Mukhalimi incident and pray for an amicable solution, normal life needs to continue. Come February and it’s going to be exam time for students. This is a reminder for all students to start working hard towards a brighter and better future for themselves and Nagaland as a whole. One way to achieve that is to aim for success by never giving up and working one’s way through failures. Success means different things for different groups of people. Success for a teacher means motivating the students to believe they are smart and helping them to develop a self image that will lift them to elevate themselves to realise their dream. Success for the student means being able to complete courses, and develop mind and talent to make beneficial contributions to the human race. 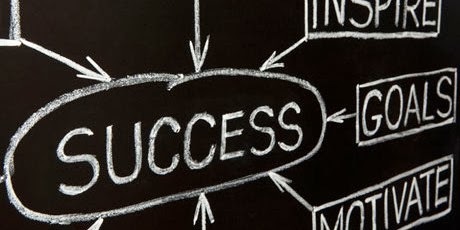 Success is a very subjective term, and it does not mean the same thing to two different people. Success means coping with unusual problems. It means being able to look at yourself in the mirror and be proud of the person you are. It implies that you can do something good when you can, where you can, and while you can. Success does not come by sheer luck. It is a long process and the chief ingredient of success is hard work. Many people believe that a successful person never faces failures. But the fact is that the most successful persons are the ones who have passed through many failures. There was a man who failed in business at the age of 21, was defeated in the legislative race at the age of 22, and failed again in business at the age of 24. His sweetheart died when he was 26, he had a nervous breakdown at 27, lost a congressional race at 34 , lost a senatorial race at 45, failed in an effort to become the vice president at 47, lost a senatorial race at 49, and was finally elected President of the United States at 52. This man was “ABRAHAM LINCOLN”. All success stories have been built on great failures. In 1914, Thomas Edison, at 67 lost his factory to fire. He watched his lifetime efforts go up in smoke and said, “There is great value in disaster. All our mistakes are burnt up. Thank God we can start a new.” This should be the attitude of a person aspiring for success. When we take a closer look at the great thinkers throughout history, a willingness to take on failure isn’t a radically new or extra-ordinary thought at all. Failures and defeat are life’s greatest teachers. Failure is as powerful a tool as any in reaching great success. Failures are the stepping stones towards success. A person who never fails is a person who never tries and a person who never tries is a person who never succeeds. The third and the most important quality of a successful person is ‘desiring to be a student.’ It is important for a successful person to have the desire to be a student. All great people have come from the hands of a great teacher. According to Indian culture, if God and the teacher (guru) stand together, the students should salute the teacher first because without his/her direction and help, the students would not have met God. It is impossible for a person to be successful without a guide. Dr. APJ Abdul Kalam on responding to the question of a student about role models said that till the age of fifteen the role model of a student should be his/her teachers. They play a very important role in the success of a person. To achieve significant success in today’s world, failure is not just a possibility but a requirement. We must experience both success and failure for they are not opposites, but opposites of the same coin. We must learn to embrace failures, and not just celebrate success if we want to be successful. Failures do not lead to frustration. But they build up positive hopes and aspirations. All the great leaders of the world faced many upheavals and challenges with conviction and determination and then succeeded. We must realize that the way to success is not paved with flowers but infested with thorns that must be overcome. So for those, who have exerpeienced failures, do not be disheartened but remember the popular proverb “Where there is a will, there is a way”. Decide your goal and go forward with strong conviction and determination and success will surely come your way.